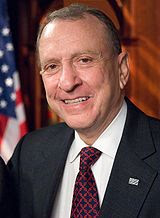 Republican Senator Arlen Specter of Pennyslvania has bolted the Republican party and switched to the Democratic party.Specter has always been a maverick in the Republican party,he was one of the few Republican party senators who voted for the acquittal of President Clinton during his impeachment trial.The latest straw that broke the Republican back was when Senator Specter voted for the Obama stimulus plan.There were two senators that Democrats targeted to flip from Republican to Democrat in recent years.The other was Senator John McCain.Politics where there are no permanent allies,just permanent interests. 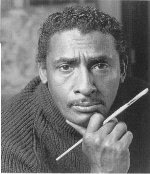 Ernie Barnes the famed artist died today .I have been a fan of Ernie Barnes since I was a child.You probably have seen Ernie Barnes greatest known work in the "Good Times" credit.The same world famous "Sugar Shack" picture of a black juke joint was popularized by the late Marvin Gaye in his"After The Dance" album..
Ernie was commissioned to be the official artist of the 1984 Olympics.Ernie Barnes,the former NFL player (who played in the early days of the AFL) turned great artist is featured in today's obituary. Ernie's works were collected by thousands ranging from Ethel Kennedy to Kanye West. Ernie you will be missed . I have not made any blogs in the past month as I have turned my attention into developing my knowledge in the greatest fraternity known to man. 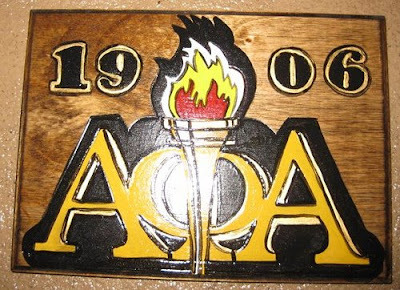 Brother Chris Queen of the Gamma Iota Chapter of Alpha Phi Alpha Fraternity Inc. gives a concise history of my fraternity.To all my brothers "First of all,servants of all,we shall transcend all". Michael Steele the Chairman of the GOP last month asserted his influence on the GOP establishment.Her failed miserably. First of all you should never take on the Kin ,unless you can depose him .The King in this case was Rush Limbaugh. Now,I am not a fan of the Rushie,but I do recognize that he is formidable .Having that said ,you attack and when you attack ,you don't leave yourself exposed as vulnerable. At the least you don't respond to an attack as a wimp. 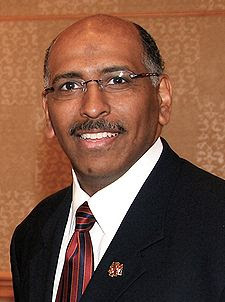 Steele left himself exposed in the end as a weak and ineffectual.To those African Americans who had made a case of possibly looking at Michael Steele as a leader,he came across as kow towing.Michael Steele that is not the symbol that Republicans need to have as a strong leader .Leaders when faced with controversy ,do not bend under pressure,they stand with their back straight. Check out DL Hughley and Michael Steele as they discuss Rush Limbaugh. Steele opinions is clearly he is the leader . Steele caused more furor by apologizing and left a bad taste with those who respect leadership .Check out the ladies on "The View" .